If the pressure is on in Arlington, it's certainly not being reflected on the secondary ticket market. The Dallas Cowboys fell to 11-2 on the season after losing to the New York Giants in Week 14, keeping them one win removed from clinching the NFC East. They'll hope to do so against the Tampa Bay Buccaneers at home this Sunday, and the matchup serves as the most expensive game of Week 15. The San Diego Chargers, Denver Broncos, Atlanta Falcons and New York Giants will also host top games this week. The Cowboys return to AT&T Stadium to host the Bucs this weekend looking for their elusive 12th win of the season. Dak Prescott still owns the starting gig under center but could see his rookie year end on the bench should he continue to be on the short end. As it stands now the average resale price for Cowboys tickets against the Bucs is $482 and the cheapest tickets are listed from $69 each. The Chargers have had yet another down year, facing talks of relocation and Philip Rivers' inconsistency down the stretch. They'll be playing the spoilers card against the Oakland Raiders at home this Sunday, as Oakland continues to push to an AFC West title and home field advantage through the playoffs. 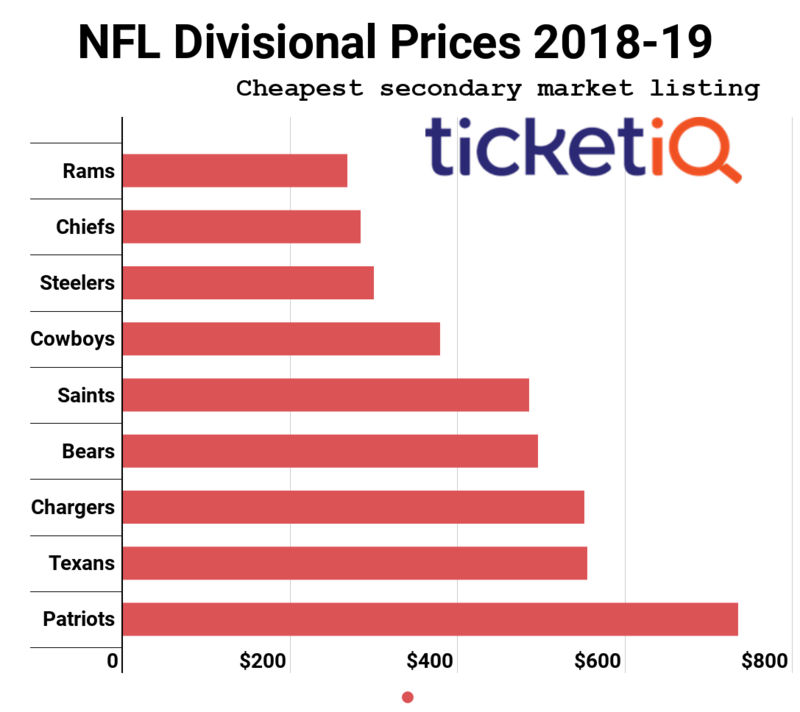 Chargers tickets on TicketIQ currently own a $398 average and $190 get-in price. An AFC Championship rematch is on tap at Sports Authority Field this weekend as the Broncos set to host the Patriots. While the Pats continue to roll in the AFC East, the Broncos have had a rough go in a tight-knit AFC West, claiming an 8-5 record but lining up behind the 10-3 Raiders and Chiefs. Sunday's game in Denver will have major implications for both teams, and Broncos vs. Patriots tickets currently average $371 with a get-in price of $144. With the Falcons cling to the top spot in the NFC South, they'll hope to give Georgia Dome a proper sendoff with a playoff berth before it closes its gates for good. Just two more regular season games remain in Atlanta, and Sunday's battle with the 49ers serves as this week's fourth most expensive game. Falcons tickets at Georgia Dome average $313 and the cheapest are listed from $20 each. The Giants are riding high after dismantling the Cowboys for the second time this season, and they return home to take on the surging Lions on Sunday. At 9-4 the Lions currently possess the top spot in the NFC North and a win this weekend would inch them closer to claiming the division. Giants vs. Lions tickets own a resale average of $303 and the get-in price is $123.